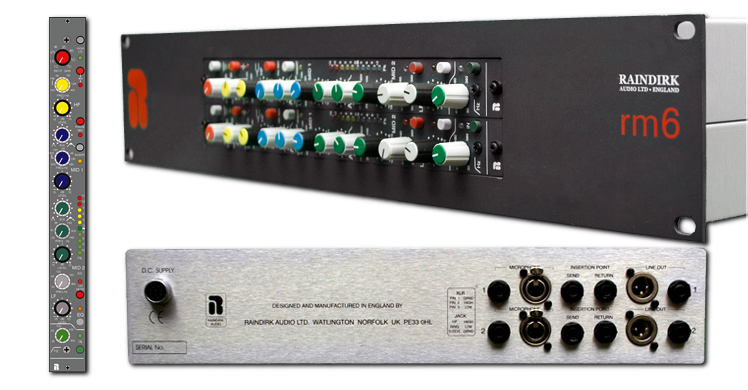 Many would argue that Cyril Jones, the founder and owner of Raindirk Audio Design, is one of the best console designers in the world. 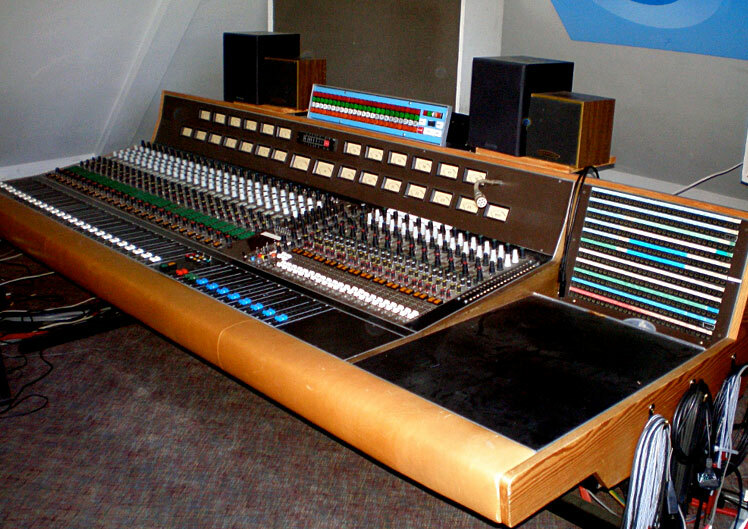 The story dates back to the early 1970s, when Raindirk founder Cyril Jones was asked to design a 24‑track recording console for the band Deep Purple, to be installed at the old De Lane Lea studios in Kingsway, London. That console went on to record the likes of the Who, the Animals, ELO, Iron Maiden, Leo Sayer, Paul McCartney and Wings, and many others. Amazingly, although that console is nearly 40 years old, it is still going strong at the Atom H studio in Dusseldorf, Germany! 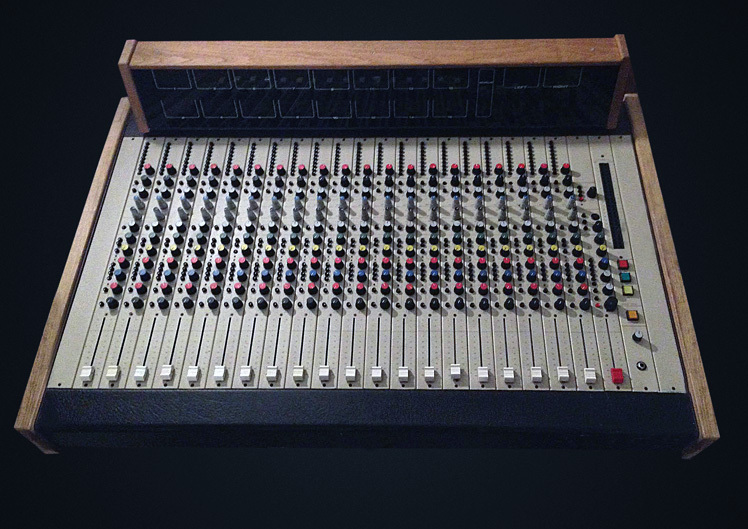 Shortly after that first console proved such a success, Cyril built three more for Olympic Studios in London. Cyril's work was recognised by Rupert Neve, who purchased a console himself for his religious foundation work! 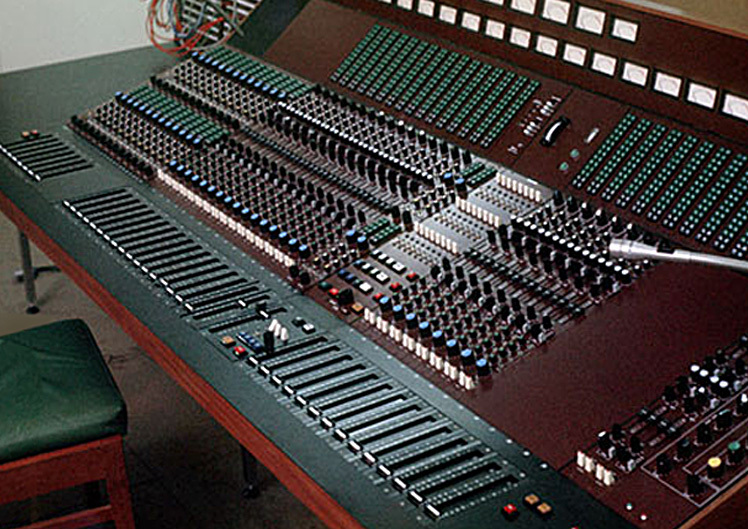 By the end of the 1970s, Raindirk had become fully fledged mixing-console manufacturers, delivering the first 'In Line' production console, called the 'Concorde' — one of which went to the Who's Pete Townsend. 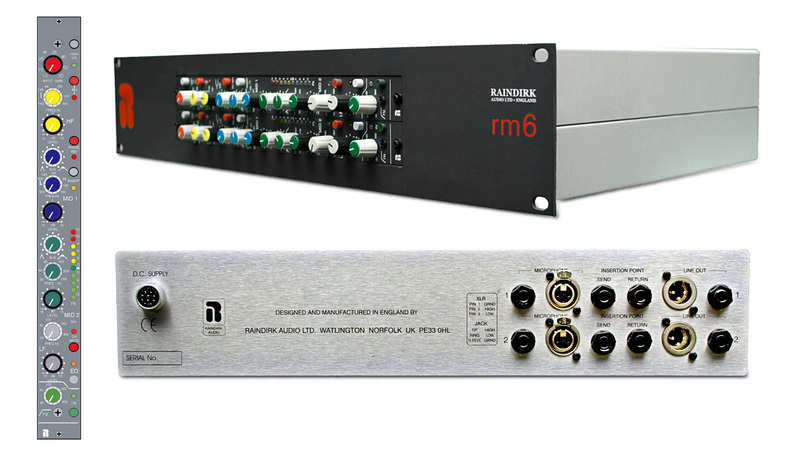 Not all the work was for the music industry, though, and Raindirk produced 45 bespoke TV broadcast consoles for South Africa in the early 1980s. 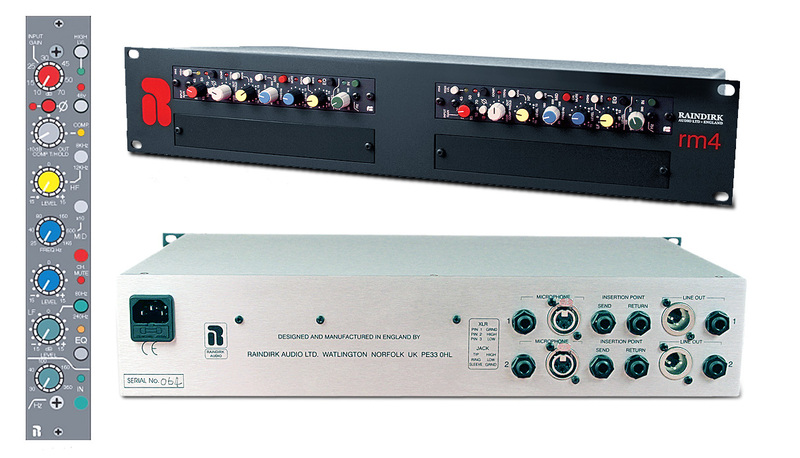 Towards the end of the 1980s, Raindirk launched the Symphony console range, with music recording, film dubbing and mobile variants. 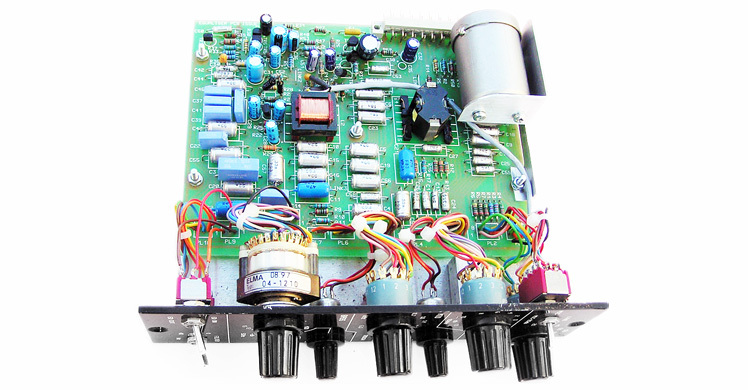 The electronic design was astonishing, managing to keep the noise floor from 24 active channels 90dB below 0VU — a fantastic achievement, even by today's standards. 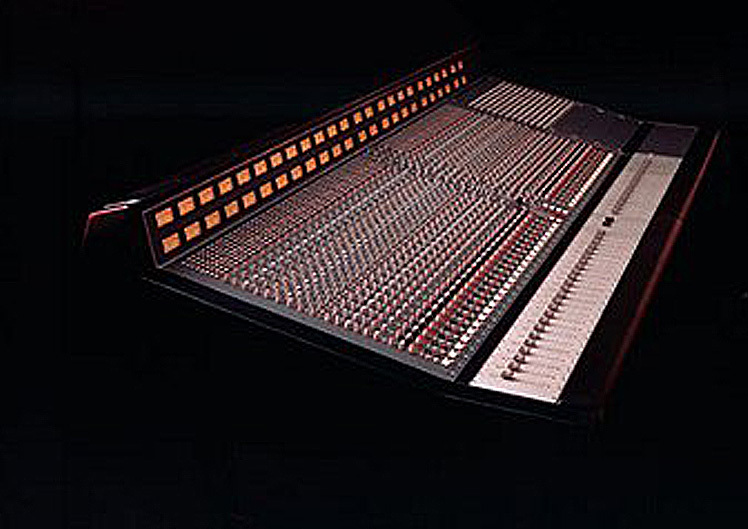 By the end of the 1990s, the large‑format studio-console market had declined to the point where Raindirk could no longer remain competitive as console manufacturers, and Cyril turned to redeploying his console-design skills and expertise in the manufacture of studio outboard products. Many would argue that Cyril Jones is one of the best console designers in the world. 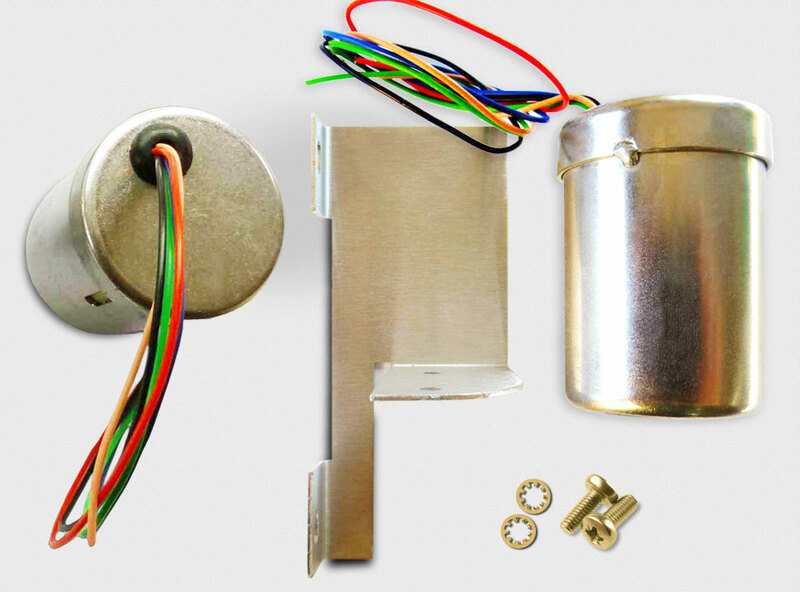 Raindirk's designs combining outstanding sound quality, good ergonomics along with compact styling, well thought‑out facilities, exceptional reliability and perfectly engineered technical specifications. 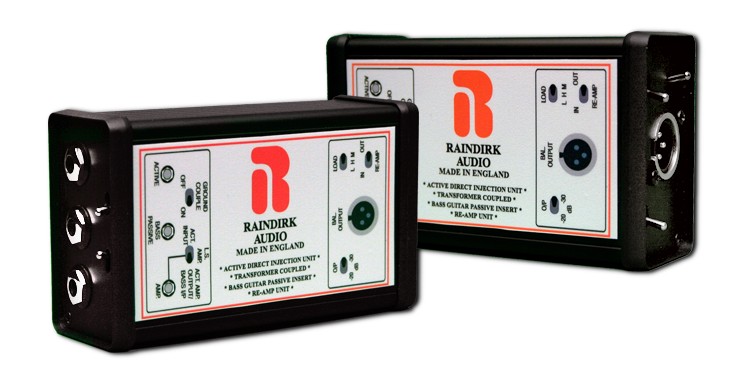 Today, Raindirk Audio continues to uphold the high‑quality and exemplary real‑world designs for which is is known for. 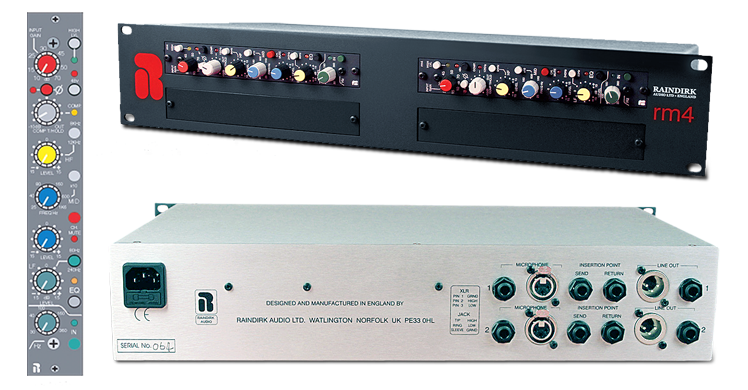 Compact microphone amplifier, using the same electronics as the Symphony consoles, built to order. 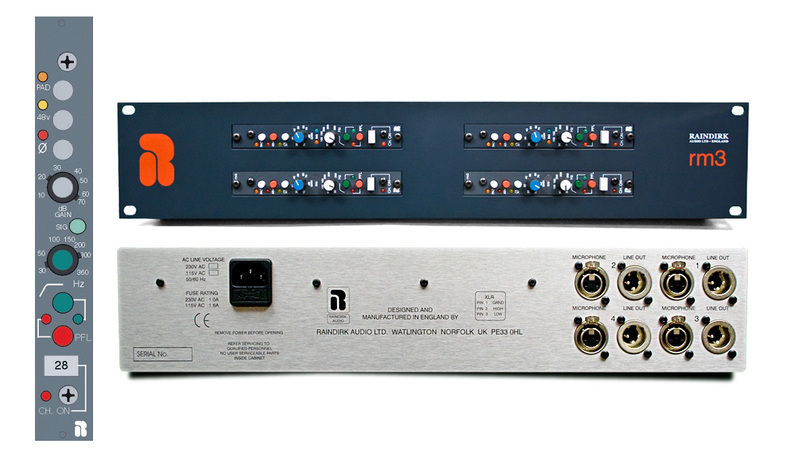 Same microphone amplifier as the RM3 with the additional three band equalizer and compression option. 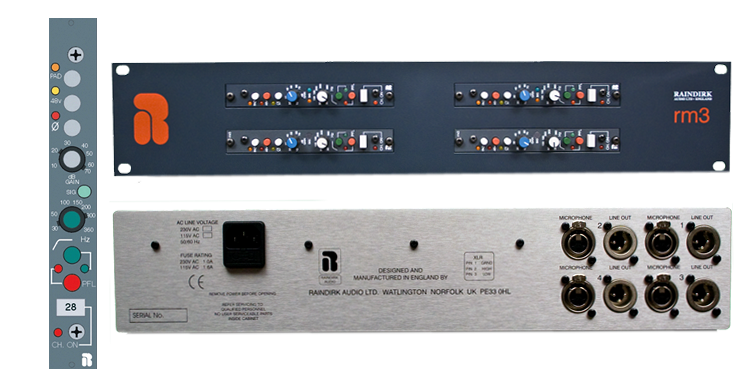 Same microphone amplifier as the rm3 with the addition of midband parametric EQ and variable shelving EQs for treble and bass. 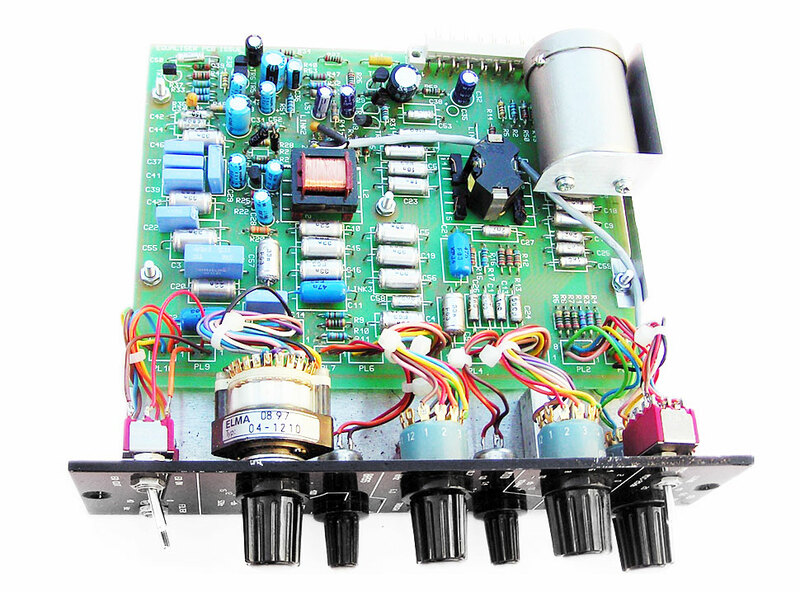 FET amplifier offering 4.7Mohm input impedance for matching to acoustic guitars and extremely high quality audio for bass guitars. 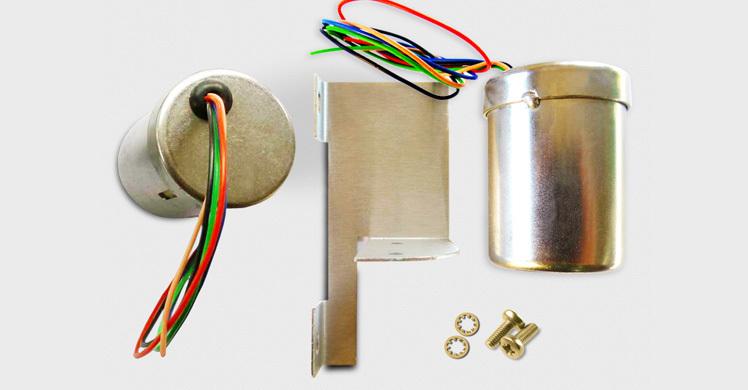 Raindirk Lustraphone transformer are the ones chosen by engineers on all occasion after making direct comparison on a range of materials. Our transformer outclass all others due to their authentic sound, adding that characteristical 'air' to the mic eq performance.